We love making tote bags and we also love the Bargello method of creating quilts so we had to combine the two and design a bag. I just love this technique. It is sooooo easy to do and makes a great checkerboard effect. 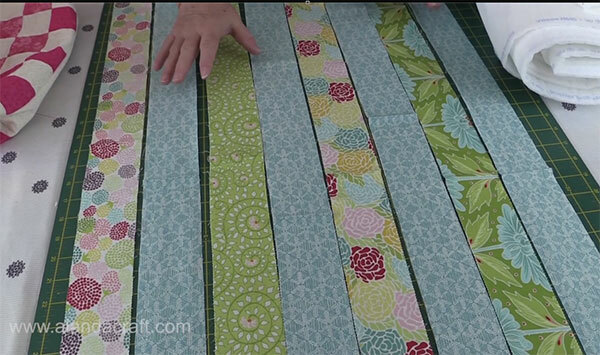 8 Jelly Roll strips or alternatively cut your own at 8 x 2½” strips measuring around 40″- 42″ in length (width of fabric). For our Blue Bag: we used alternating strips using blue as the main and 4 different colour co-ordinated strips. This bag was made using a jelly roll called ‘Chantilly’ by Lauren and Jessi Jung for Moda. Cut off the selvages from each end of the strips. Lay the strips on your table side by side, starting with the main colour. 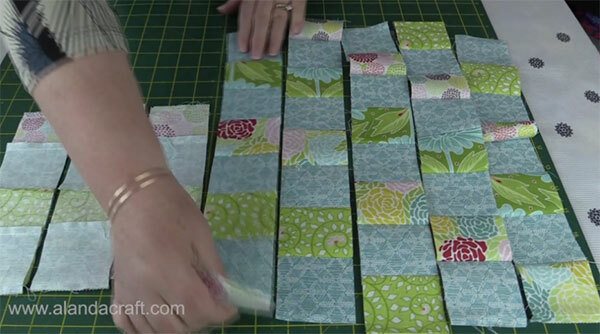 Place the first two strips on top of each other with right sides together. 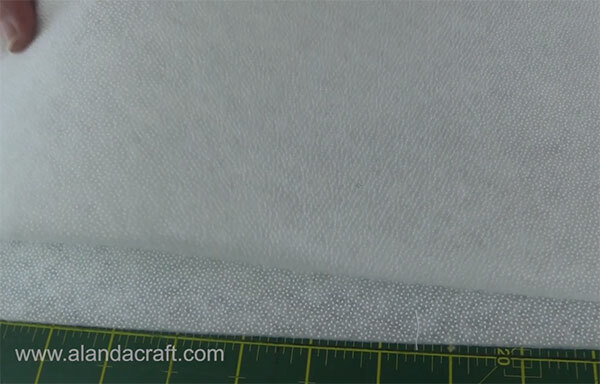 Sew the long edges together with a ¼” seam. 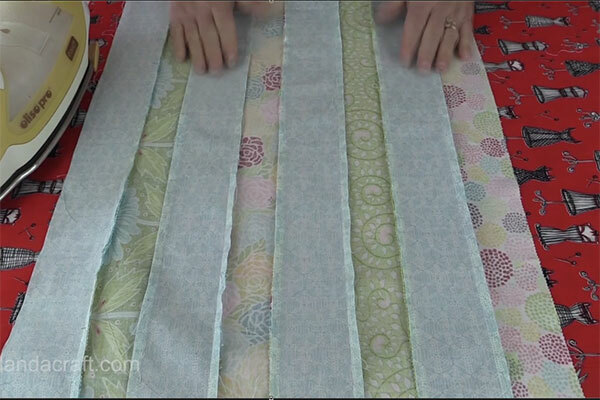 Pick up the 3rd strip and place on top of the second strip, right sides together and sew with a ¼” seam. 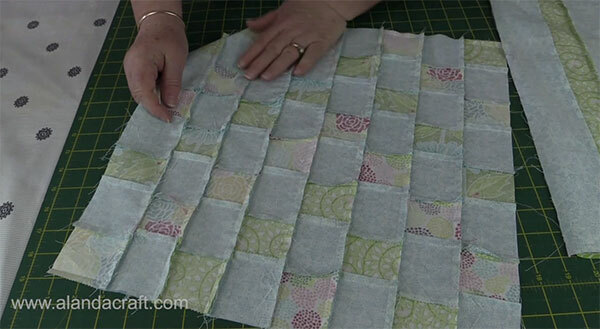 Continue in this manner until the strips are all sewn together. Trim across the short ends to straighten up. 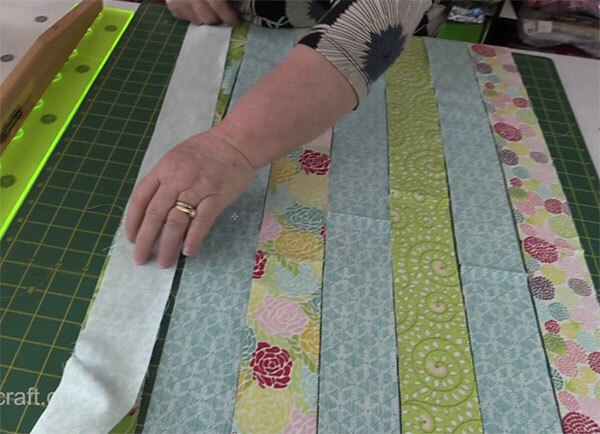 Join the first and last strip together lengthwise and sew with a ¼” seam to form a tube. 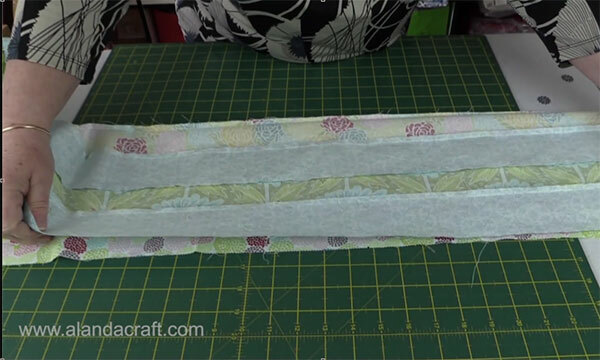 Lay the tube on your table and cut 8 x 2½” strips from the tube. Lay the tubes next to each other making sure the co-ordinating squares line up. Unpick the third row of stitching on the eighth tube. Open the tubes and you will find that they alternate in design – 1 main, 1 contrast, until you get to the sixth tube, simple turn this one and the next three around so that the design is consistent. 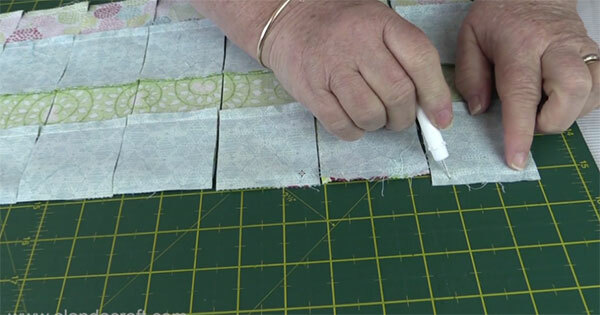 Sew the strips together with a ¼” seam. Note: Make sure you sew the seams in the same position as when we ironed them, so that they stay flat. And your joins will be perfect. Press your piece and put aside. We are now going to work on the back. Decide whether you want to have a main strip on the bottom of the bag or a contrasting strip. I went with a main colour. Open one seam line so that you have a flat piece of striped fabric. You can now choose if you want the stripes on your bag to run horizontally or vertically across the back of your bag. Trim your bag pieces to the size you want, my bag is 16¼” x 16¼”. Cut your fusible fleece to the size of your bag. Making sure you iron the rough side of the fleece, this is the side that has the glue on, to the wrong side of your bag pieces. Do Not Use Steam. Once you have added your fusible fleece to both the front and the back bag pieces, its time to sew the bag together. Place the pieces right sides together and sew around 3 sides only with a ¼” seam. Start and end with a back stitch. Stop a ¼” from the corners and pivot. Cut 2 pieces of lining 16¼” wide to match your bag BUT cut the height 16¾”. This is to create the trim at the top. If you don’t want to have the trim then cut your lining pieces to match your bag pieces, in my case 16¼” x 16¼”. Sew around three sides as you did before, leaving the top end open on the longer ends. To see how to construct the bag its time to Watch the Video below.